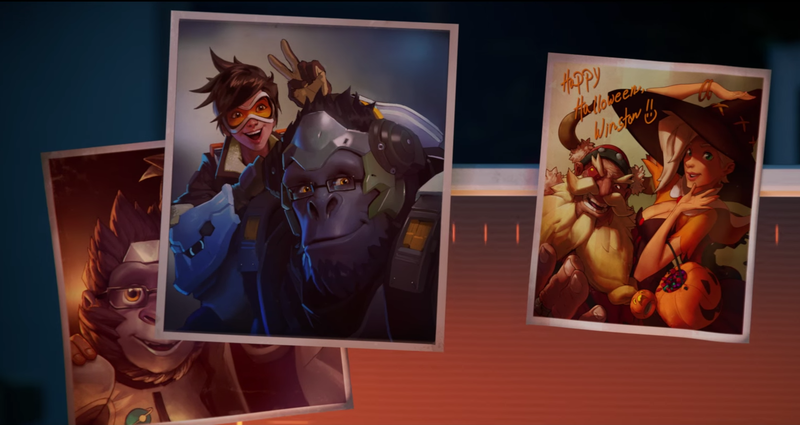 Blizzard released a comic strip revealing that their perpetually cheery video game hero Tracer is a lesbian last month. This is groundbreaking, as many news organizations have accurately reported. Tracer is featured on the cover of “Overwatch,” Blizzard’s much-loved first-person shooter, and is essentially the game’s mascot. Though queer characters and their relationships have been somewhat touched upon by video games in the last few years, none have been so prominently displayed by major companies such as Blizzard. This is an obvious win for progressive values and the comic strip enjoyed widespread coverage. What’s been less reported is that beyond last month’s Tracer surprise, “Overwatch” is generally one of the entertainment industry’s most inclusive and relentlessly positive outputs in recent memory. Pop culture is what many of us use to distance ourselves from the dreary slog of day-to-day life but I’d argue that the general entertainment medium has spectacularly failed to provide relief, much less clarity, to the political and social madness of the last year. However, “Overwatch” has continued to champion social acceptance and tolerance in a mature and subtle fashion since its May release. Given our culture’s increasing divisiveness, the game’s inclusive themes are all the more relevant today. Though “Overwatch” celebrates its characters’ diversity, it doesn’t do so in a manner that comes off as preachy or contentious. Tracer is a lesbian, but that’s just one part of her character design and is never unduly spotlighted or advocated. If she’s a caricature, she’d fit the “spunky comic book heroine” mold far better than a social justice warrior stereotype. Tracer is a video game character, but she feels more human than some of the flesh-and-blood pundits that argue about social issues in real life. Parallels could also be drawn to Korra’s bisexuality in Nickolodeon’s excellent “The Legend of Korra” series, which featured a relatable and natural romantic progression as opposed to self-righteous social rhetoric. That’s a good thing. Despite its innocuous nature, “Ghostbusters” resulted in unbelievable levels of harassment and hatred between so-called “femnazis” and “misogynists.” Which side was right or wrong isn’t the point — the fact is that for all the presumed themes of diversity and female empowerment, the film spawned far more conversations concerning divisiveness and sexist vitriol. Conversely, gamers, who are generally not considered a socially progressive bunch, have celebrated “Overwatch’s” diversity. Tracer isn’t the only example: “Overwatch’s” humanism extends to much of its cast. Lúcio is a dark-skinned man from a Brazilian slum, McCree is an American cowboy and Genji is an honor-obsessed Japanese cyborg ninja. That might seem like a collection of stereotypes but it never comes across as such. The characters are varied and realistic but Blizzard isn’t afraid to address difficult topics such as bigotry in their interactions. The robotic Omnics are widely distrusted in the game’s lore, and that quasi-racism extends to Genji. But when other characters bring up his machine half, Genji responds with reassurance and positivity. In most other cases, the characters are ecstatic to interact as a team and work towards a common goal. Happy, motivational quips are yelled throughout matches and characters frequently complement one another on their differences. Little exchanges like this are peppered throughout the game and are so fleeting that they probably don’t even register consciously. In the sole instance that Blizzard received criticism regarding exploitation and insensitivity — a sexualized victory pose for Tracer available during the game’s beta — the company quickly issued a statement and changed the pose. That “Overwatch” manages to do all of this without igniting a social media firestorm about political correctness or social justice is one of its greatest strengths as a truly inclusive entertainment product. The care Blizzard has put into “Overwatch’s” messaging is palpable and reflects on the community, which is far more positive and engaging than those of similarly popular shooters. Of course, there’s still plenty of arguing and raging in-game, but it’s usually restricted to insulting one another’s gaming skill and is no worse than the usual lighthearted banter and trash talk that’s rooted in competitive gaming culture. The average conversations I’ve experienced in games such as “League of Legends” would make most Twitter trolls cringe and I’ve been the victim of calculated, sustained harassment in MMO games in the past. I’ll take harmless badmouthing of someone’s kill/death ratio in “Overwatch” over that any day of the week. If there was ever any doubt that positive, reserved messages of diversity and legitimate tolerance in gaming were not worth the effort, let “Overwatch” stand as a remarkable example of their success. In an age where pop culture has been infected by hatred, bigotry and closed-mindedness, “Overwatch” stands as a shining champion of inclusiveness done right and the greater entertainment medium would be wise to take note.